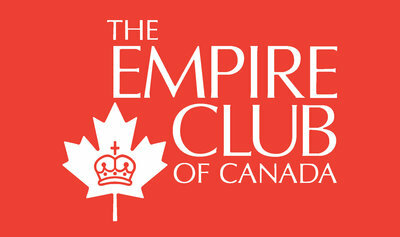 The speaker’s family history with The Empire Club and The Canadian Club. Listening to lead. Questions the speaker has heard from Canadians. Taking inspiration from each other – an anecdote. The government that Canadian need. What Liberals understand about leadership in tough times. Mr. Harper taking us back to tough Tory times. What the speaker asks of Mr. Harper. Facing the budget choices next week. An issue of political morality. The responsibility of the speaker’s generation. Trusting Canadians with the truth – showing them competence. Further comments on Mr. Harper’s action. The real test of leadership. Some statistics about employment and the Canadian recession. What Canadians expect in hard times. How the Conservative government has failed Canadians. What the crisis demands. Infrastructure that builds the country. Liberals understanding the situation. What the inauguration of President Obama shows us. Questions the speaker will ask Mr. Harper when his budget is presented. What could be done to help Canadians. How the speaker says his party can do better for Canadians. Howard Brown: Director, The Canadian Club of Toronto,President, Brown & Cohen Communications & Public affairs Inc.
As 2008 was drawing to a close, Canadians witnessed an exciting, and some would say surreal bit of political theatre, at least by Canadian standards. A just-elected Conservative government suddenly poised on the brink of defeat. The overnight formation of an extraordinary and unlikely multi-party coalition. The proroguing of a Parliament that had barely begun. And then the appointment of a new Liberal leader in record time. Next Tuesday, when the federal government brings down its much-anticipated budget, the Official Opposition Leader and the Prime Minister of Canada will face each other across the aisle, and who knows how this uniquely Canadian political drama will continue to unfold. As Mr. Ignatieff prepares for the resumption of Parliament, he’s been conducting a national town-hall style tour to hear Canadians’ views on the economy. Canadians are also getting a chance to become better acquainted with the newest leader of this country’s oldest political party. Michael Ignatieff has a resume of epic proportions and a list of achievements that goes on for pages. Last month, the Globe and Mail’s Michael Valpy offered this description of him: “His curriculum vitae is dazzling: a thinker on global affairs lionized throughout the Western world; a Canadian who has garnered truckloads of awards, honorary degrees and distinguished lectureships; the eminent director of Harvard’s Carr Center for Human Rights; an author of celebrated books published in 19 languages, and articles that have appeared in the leading periodicals of Britain, the United States and Europe; a novelist, journalist, screenwriter, documentary maker and television personality who has parsed the central moral and political issues of the times, as well as the Freudian recesses of the human soul.” Impressive. Today, we get to learn more about Michael Ignatieff, the politician, as he offers his policy prescriptions for an ailing economy and his political aspirations for his party, and the nation. Please join me in extending a warm welcome to Michael Ignatieff. Thank you Helen for that warm introduction. And thank you to Ucal Powell, Tony Iannuzzi and the members of the Carpenters’ Union for sponsoring this event. The Carpenters’ Union was instrumental in proposing the country’s first national infrastructure program 15 years ago. Of course, in those days, it was run by a Liberal government, so the funds were not just announced, they were actually spent—and they put people to work right away, not in a few years’ time. I appreciate this opportunity to meet with both the Canadian Club and the Empire Club. And it is always great to be in the riding of my friend of 40 years—Bob Rae. I am pleased to be here, even if the President-elect of the Canadian Club, John Capobianco, ran against me in Etobicoke-Lakeshore. He was a worthy opponent, and I salute him as a man and as a citizen. As I look around the room today, I believe that the audience is split fifty-fifty in terms of political support. Half of you are big fans of Prime Minister Harper. And the other half are huge supporters of President Obama. The Empire Club and the Canadian Club are institutions that have always mattered to my family. My great-grandfather—a proud New Brunswicker named George Parkin—spoke to the club. My grandfather—a Russian émigré named Paul Ignatieff—spoke to this club. My Dad spoke to this club in 1969. He said then: “Those to whom this opportunity is offered, I realize, have to be brilliant, or original, or both. Since there is difficulty in being brilliant when you are trying to be original, and being original when you are trying to be brilliant, I shall merely try to be informative.” I’ve been travelling coast to coast with the leaders of my economic team—John McCallum and Scott Brison—holding town halls with business and union leaders, students, legislators, seniors, representatives of a wide range of communities, and Canadian citizens from all walks of life. You can’t lead if you don’t listen. We’ve listened. I have listened to heartfelt stories about lost jobs, small businesses on the edge, fears about paying for drugs for sick children, worries about having to go to the local food bank. I have heard troubling questions. How will I ever get my first job? Have I seen my last job? How do I tell loyal employees that we are closing down? How will we help our kids with their college funds? A large number of Canadians tell me: “Well, I’ll get by but I am worried about my neighbour … or my co-worker.” We’re a people who look out for each other. We must not lose this. Recessions can divide a country, make us mean, turn us selfish. We must not let that happen. We need to take inspiration from each other. That inspiration is all around. And with spirit like that, we will get there. We will get there together. I’m in politics to help that woman get there: get the job training she needs, get the next job, get her kids through university and make sure she has a secure and happy retirement with her grandchildren. She needs a government as strong and resourceful as she is. Those of us in elected office cannot fail her. We need to stand together as a country. We went into this time of turmoil together and we must come out together: more united, more competitive, more confident than ever. I know we can. We Liberals understand about leadership in tough times. Canadians turn to us when times are tough. Canadians remember sound fiscal management, repeated surpluses, debt reduction, and tax cuts on profits, revenue and income, strong financial performance and forward-looking social policies. Canadians remember that we cleaned up the $42-billion deficit left behind by the Mulroney years. We slayed that deficit, but at a steep cost. Today, Mr. Harper is taking us back to those tough Tory times. Just yesterday, he signalled that we should be prepared for a $64-billion deficit in the next two years alone. He wants to get the bad news out of the way before the budget. I asked Mr. Harper not to play games like that. I wanted him to put the facts and figures on the table, not let them slip out at his convenience. I think he just can’t help himself. He thinks it is all just some kind of game. The release of this budget information is irresponsible and potentially costly to the economy. And who knows how many years Harper is planning to be in deficit? He hasn’t shared that information. What we do know is that it was a long, hard road to dig us out of a huge deficit after the last Tory government. As we face the budget choices next week, I’ve been clear. Targeted help to those Canadians who need help most is absolutely essential. Broad-based tax cuts that dig us deeper into deficit are not. This is not about gimmicks or politically popular moves. It is about listening to the real needs of Canadians. It is about trust. It is about competence. And this is an issue of political morality. My generation should pay its own freight. We shouldn’t burden the next generation with debts we didn’t pay off. If the government proposes a deficit, I want to see the plan that digs us out of it quickly. And I don’t want that plan based upon some unrealistic projections made up inside the Prime Minister’s Office. Trust Canadians with the truth. Then show them competence. When a Liberal government returned the country to surplus we set aside a contingency reserve—savings for a rainy day. A $3-billion cushion. But this government had other ideas. They scrapped that reserve. They spent rashly. They cut taxes rashly. They brought Canada to the red line when times were good. Now the cupboard is bare. We face hard times, and are headed towards a deficit, which may top $100 billion before we see the other side of this. Barely eight weeks ago, the government claimed there would be only a short recession and certainly no need to run a deficit. How did Stephen Harper so completely misjudge the crisis before us? In September, on the campaign trail, Mr. Harper said if we were going to have a recession, we probably would have had it by now. In all seriousness, that was Mr. Harper’s strategy. Let the chips fall where they may, and if you can make a few bucks off the misfortune of others, good luck to you. Then, on November 27, in front of Parliament and all Canadians, the Conservative government put forward its economic update. According to Mr. Harper, there would be a surplus. He said that the right way to address Canada’s difficulties was to take away civil servants’ right to strike, attack pay equity for women, and stop public funding for political parties. That was not a program. It was a provocation. And we said: No you don’t. Back down. Think again. This isn’t a game. It is a recession with painful human consequences. On Tuesday, we’ll all see whether the Prime Minister has learned to listen. If he hasn’t learned to listen, he’s not going to lead for long. But let’s not forget that the real test of leadership is listening when it counts. Not waiting until the shop’s closed down to raise the alarm. It also means getting your story straight, telling Canadians the truth and acting on economic reality and not political chicanery. Mr. Harper has failed to tell Canadians the truth. The truth is that we’ve lost more than 100,000 jobs in the last 60 days. Yesterday morning, StatsCan reported that retail sales are falling further and sales for new cars are in sharp decline. The unemployment rate for young Canadians is pushing 13 per cent. We don’t want a country where young people begin their working lives in the unemployment line. And it’s not just those who can’t find work or who lose their jobs altogether. At Canada’s largest steel company, Dofasco, thousands of employees were put on a two-week layoff over Christmas. And as of January 1, salaried employees are now working only four days a week. How would any of us like to have started the New Year with a 20-per-cent pay cut? It’s not just the workers in the blast furnace and the coke ovens, the recession is hurting every family in Hamilton. It is hurting every family in Sudbury, The Sault, Windsor and Thunder Bay. And the Canadians who work in the big bank towers here in downtown Toronto are just as uneasy. This isn’t a central Canada recession. This is a Canadian recession. The city in Canada that lost the most jobs last month was Calgary. Alberta is hurting, and when Alberta hurts, the whole country suffers. The forestry towns of the B.C. interior are facing the collapse of the housing market. In Saguenay, Lac St. Jean, Alcan is cutting jobs. In Esterhazy, Saskatchewan, the potash mines are cutting back. Right across the country, millions of Canadians feel their futures hanging by a thread. They know that unemployment is not just a statistic. They know that unemployment is fear in your guts, worry that you are not going to be able to feed your family, fear that what’s happened to your neighbour is going to happen to you. In hard times, Canadians expect compassion, understanding, and non-partisan action from their government. Canadians expect their leaders to have a plan—a plan that responds to the challenges at hand, while laying the foundation for a better future; a competent plan; a plan to manage the problems; a plan to lead the country. This Conservative government has failed them. By mismanagement or by design, Mr. Harper has weakened the capacity of the federal government to act in the face of turbulence and uncertainty. Reckless spending and irresponsible tax policies have left Canadians’ jobs, savings, and pensions—and our nation’s future prosperity—hanging in the balance. Canadians expect more. We deserve better. We deserve better than a government that turned an economic crisis into a political crisis, and then into a national unity crisis. We deserve better than a government that is the last in the G8 to come up with a plan for dealing with a crisis that the entire world saw coming. A key test of leadership is anticipating the future. A train used to run through the centre of the little town in Quebec where I spent some summers, and my father once told me that if you put your ear to the rails, you could hear a train before you could see it. And we did. And you could. And Mr. Harper didn’t. Mr. Harper wasn’t listening. He didn’t have his ear to the rail, and he didn’t act. Rather than get infrastructure money out the door and get Canadians working, this government let $2 billion of allocated infrastructure funding go to waste—unspent. We don’t need funds that are never invested. We need money flowing now. We need to put people to work now. The projects are approved and ready to roll. The jobs are set to go. Everyone has been primed for action for a long time—except for the federal government. Instead, 44,000 construction jobs were lost in December. The members of the Carpenters’ Union know that all too well. It’s tough during the holidays hiding the fact from your kids that you don’t know when you’ll see your next pay cheque. On Tuesday, Mr. Harper and his ministers are going to promise the same infrastructure they’ve failed to deliver for the last three years. The time for splashy re-announcements, simplistic promises and inappropriate spending—the hallmarks of Mr. Harper’s government—has passed. This crisis demands that we use the power of our government to the fullest. It demands that we understand what our government can be—and what it should be. Because it’s not just about infrastructure; it’s about infrastructure that builds the country, so that when we are through this recession we’ll be prouder, more united and more competitive than ever. Conservatives don’t understand that. Conservative governments don’t build national institutions like medicare, a constitution, a flag, childcare, or the Kelowna Accord. Liberal governments do. And that’s what we need to do now. We need to build a budget that looks forward, that binds our country together and makes us stronger today and much stronger tomorrow. Canadians know that their standard of living has always depended on prudent investment in public goods. They are the ties that bind us together as an economy and as a people. We need affordable housing, public transit, energy grids, high speed rail, and programs to help lift many Canadians and their kids out of poverty. We need to help protect the pensions and savings of senior citizens, so that retirement is a time of happiness and accomplishment, not a time of anxiety and fear. Mr. Harper has allowed this country to slip, to become less than the sum of its parts. Now’s the time to pull together, to invest wisely in the projects that bring us together and make this country more than the sum of its parts. This crisis is testing our political system and those like me who have entered public life. Canadians everywhere are asking politicians: raise your game, be equal to the hour. The inauguration of President Obama shows us how one man putting himself at the head of millions can restore trust and restore faith in the political process. We in Canada must do the same. We do not need to drift with the tide. We can act. We can choose. We can work to avoid the worst and search for the best. We can rebuild the trust that has been broken and restore faith in our own country. Canadians want a government that puts the country first. Enough with the games. Enough with the attack ads. Let’s try to do what’s right. I shall try to do what’s right for my country next week. Will it help the needy? Will it create the jobs of tomorrow? Will it be fair to all of Canada’s regions? Will it burden our children with debt? This is what a responsible Opposition does. And if the government fails, I am ready to lead. I do not seek office at any price. But I am ready. My deepest instinct about this country is that we are strong, not weak. We are united, not divided. Determined, courageous, uncomplaining and resolute. We have been, we are, and we will be an example to the world. We have been, we are and we will be a light among nations. Now, in crisis, our light must shine. We must seize the moment, as Canadians have done before. The Royal York opened its doors in 1929. It was the tallest building in the Commonwealth and the only one in Canada with elevators. When the stock market crashed a few months later, many thought the Royal York would close its doors. Many thought we would never again see tall buildings with elevators in Toronto. Look at this city now. Look at this country now. And imagine what can be. We can jump-start job creation. Spur innovation. We can lay the foundation for the economy of the future, protect the vulnerable, protect the jobs of today and create jobs for tomorrow. That’s the essence of our national interest and the test that this budget must meet. My job is not to let Mr. Harper skate by with a passing grade. That’s not acceptable. Not in these times. Not ever. Now is the time to do better—so much better. I want to appeal to the best in Canadians. To their compassion, decency, respect for others, civility, hardiness, generosity of spirit, patience, persistence and idealism. My party and I want to bring people together with common purpose and common enterprise. To show courage and boldness, and revive the faith that people have in themselves and in their country. To draw upon the resourcefulness of Canadians and ask them to be equal to the greatness of their land. To forge long-term prosperity. Strengthen our citizenship. Strengthen our unity. Rediscover our place in the world. Canadians understand that the days ahead will be difficult. But together, we can fill them with optimism and hope. And our light will shine brighter. The appreciation of the meeting was expressed by Jo-Ann McArthur, Principal, fisheye, and President, the Empire Club of Canada.